Every fisherman has their favorite go to fishing lure. Mine is the Zoom Salty Super Fluke. I have been using the Zoom fluke for years and wanted to show how to set the rig up. Like I mentioned above, the Zoom Salty Super Fluke is my go to plastic. But, in my experience, color matters. I have tried all color options but only have consistent success with the Watermelon Seed color. I’m sure this has to do with the part of the country I live in. I have tried the shad color on creeks and rivers but I always end up going back to the Watermelon Seed. Above is a photo of the Flukes that I personally use. They can be hard to find, especially in the spring. I either get them from Walmart, Amazon or you can usually find them at most other fishing lure online store. They come in a resealable bag which you will want to use. 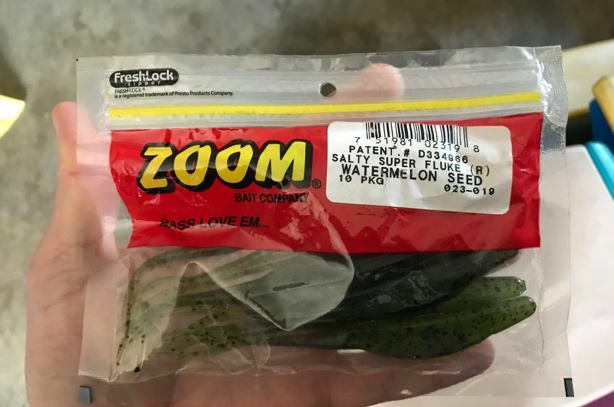 These Zoom Salty Super Flukes, will dry out on you. 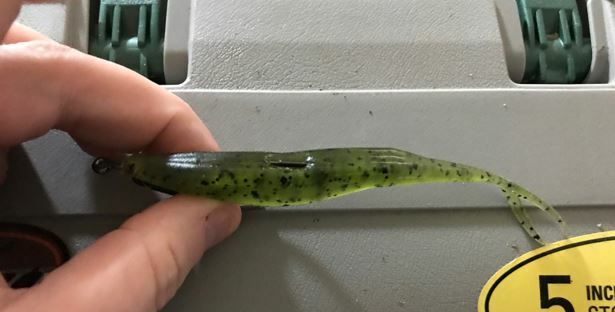 When I introduce this lure to friends, the first question is usually, what hits it? Though the Zoom Salty Super Fluke is sold as a large mouth bass lure, I can tell you that many other fish do hit it. 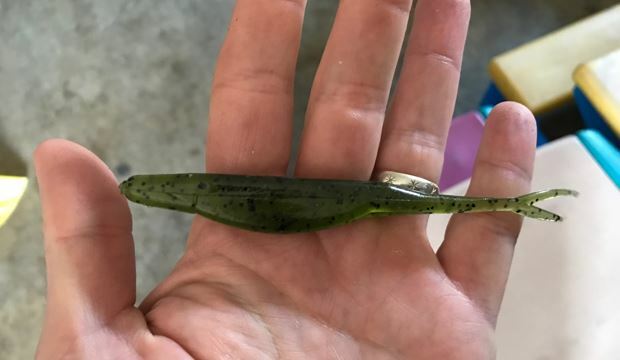 If you think about what the bait resembles, any predatorial fish will go after this lure. I catch 90% large mouth with the Zoom Fluke but have also caught small mouth, hybrid bass, sauger, and even small catfish. I would only target large mouth, small mouth and possibly hybrid bass using the Fluke. Fishing the Zoom Fluke takes a specific rig to make it swim alive attracting feeding fish. Many will recommend using a regular worm hook but I like to use a weighted wide gap worm hook. When you tap the tip of your pole, your fluke jump up and then shimmers down quite nice. Depending on weight of your hook, the heavier, the faster action it will be. I like to use a medium weighted hook so it gives plenty of action as the fluke drops, but also doesn’t dive. You want bass to see your lure as an injured bait fish that is flopping around a little. You have a few choices when it comes to the brand you use. 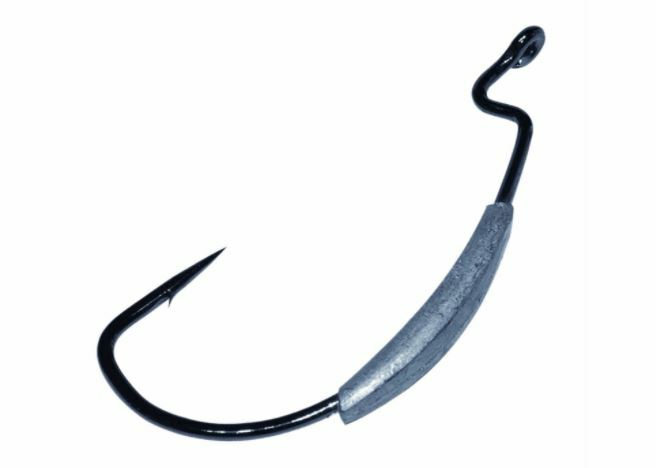 You can find reviews at places like Gear Lobo to help you with choices, but I prefer Gamakatsu for all my hooks (I love their circle hooks). Though a little more expensive, I find them to be thicker hold the sharpness. Your other option is Eagle Claw which is also easily found locally. I would stay away from the generic hooks. There may be other ways to rig a Zoom Salty Super Fluke, but I only do it one way. Below we are going to go over how to hook the fluke to give you wildly live action that will draw in large bass. Take out a fluke and make sure it is usable condition. I find myself throwing old ones back into the bag when I don’t have a trash bag near by. Nothing is worse than being out and finding you have all heavily used lures! Insert your hook through what would be the mouth of the fish going downwards. You should insert the hook as deep as the hook eye to the first corner. You want the tip of the hook on the lower part of the body. Next, you want to pull the hook all the way through to the hook eye. At that time you will tun the hook so the point is going up into the fluke body. Photoed above, we have not put the hook back through the body yet, it is just resting inside the groves. Note, when pulling the weighted part of the hook through the fluke, you can tear the body. It is recommended on wetting the weight lead (I spit on it) before going through the body. Next, you will want to pull the head of the fluke up to the eye and insert the hook into the belly of the fluke and come out the top. Once the tip of the hook is coming out the top, you tuck it in the back slightly to cover the tip. You tuck the tip to make it weedless and so it will not get hooked up on a rock or piece of wood. Note: make sure not to sink the hook tip too far into the back of the fluke. When a fish hits, it has to be able to come out easily to set. Your just looking for enough so it will not get caught on something. This subject is a little harder to explain than to show. I will give it a shot but check back later this spring, I will be creating a video. I have best luck fishing this fluke in cover. Either along the bank, in grass or any heavy cover. Once you cast, let the fluke drop to the bottom. Once it has bottomed out, you tap your tip forward. You don’t need much and depending on where your fishing will depend on the size of bump. When fishing is shallow water, I bump forward slightly (6 inches or so). In deep large water, I bump up. Once you bump, you will let the fluke drop the the bottom again, then do it again. Keep it in action only letting it sit for a second or two before bumping again. I hope you give the Zoom Super Fluke a chance. 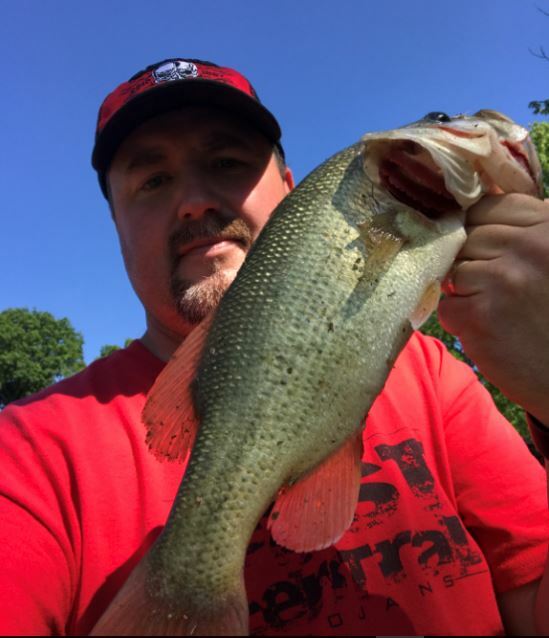 With a little practice, you will find that it can catch you some big bass. 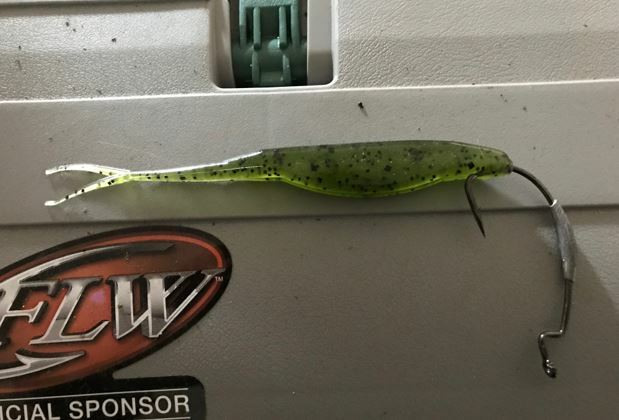 So I’m sure you have a favorite/secret plastic or spinner, I mean everyone thinks they have the best bass fishing lures. So, share with us your go to lure and how you fish it!